Degustation is the careful and deliberate tasting of various food with an eye towards appreciation of the science and artistry that goes into their preparation as well as their effect to the senses. To mark its 29th anniversary, Ilustrado Restaurant introduces an 8-course degustation menu which will be available to its patrons throughout the month of October. The menu was conceptualized by Ilustrado Restaurant’s Chef de Patron Bernice Pimentel, inspired by, of all things, a classic Pinoy song. 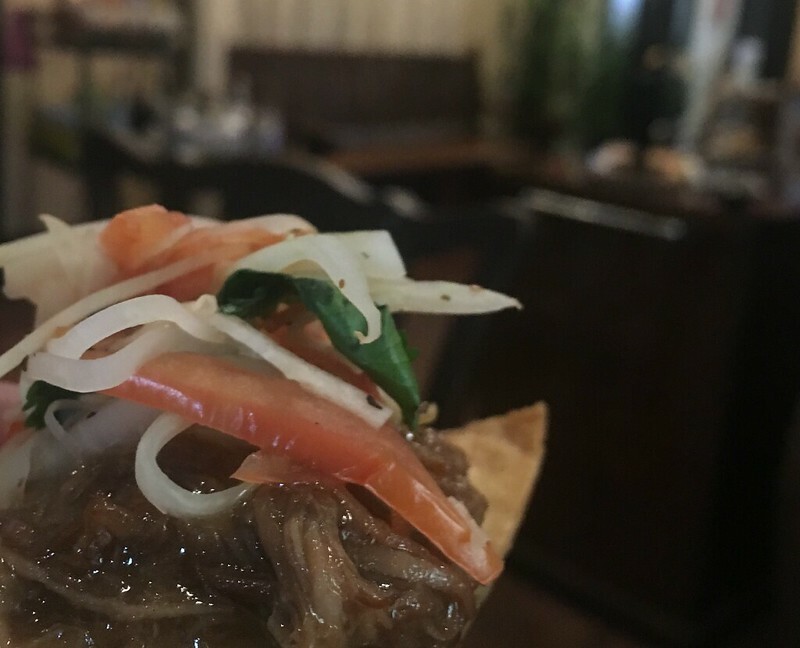 “My almost three year old nephew is in a “bahay kubo” sing-song stage and I can say that the vegetables in the song followed me everywhere making its way into our degustation menu.” shares Chef Bernice. 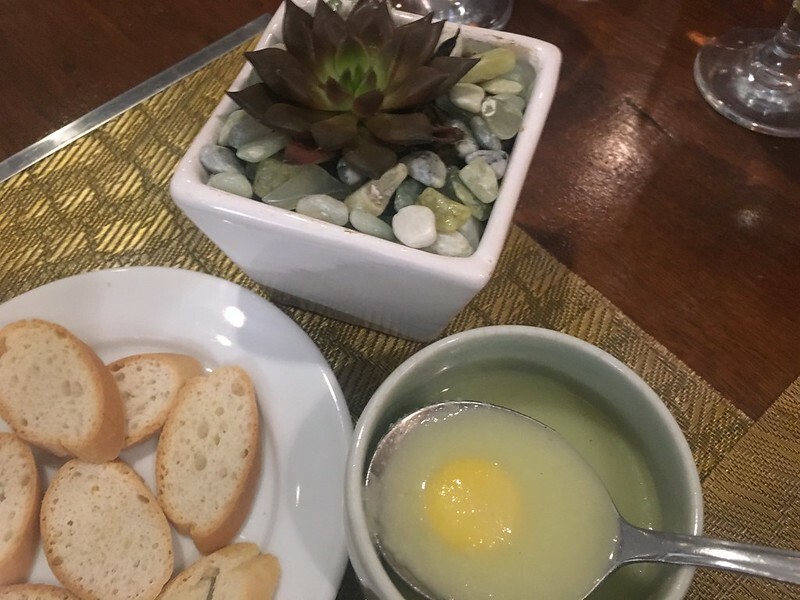 The influence of “bahay kubo” is apparent in the menu’s deliberate use of homegrown ingredients and incorporating them into continental dishes. In fact, Chef Bernice’s plan for the restaurant’s own farm to table concept is already in the works. 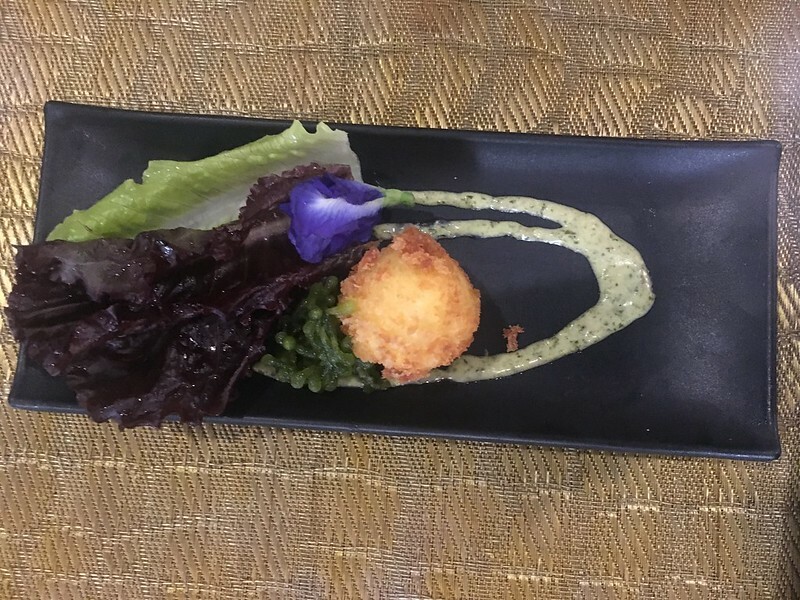 Among these initiatives are a partnership with Luntian Farms and growing the edible flowers that serve as garnishes for her dishes right at home. 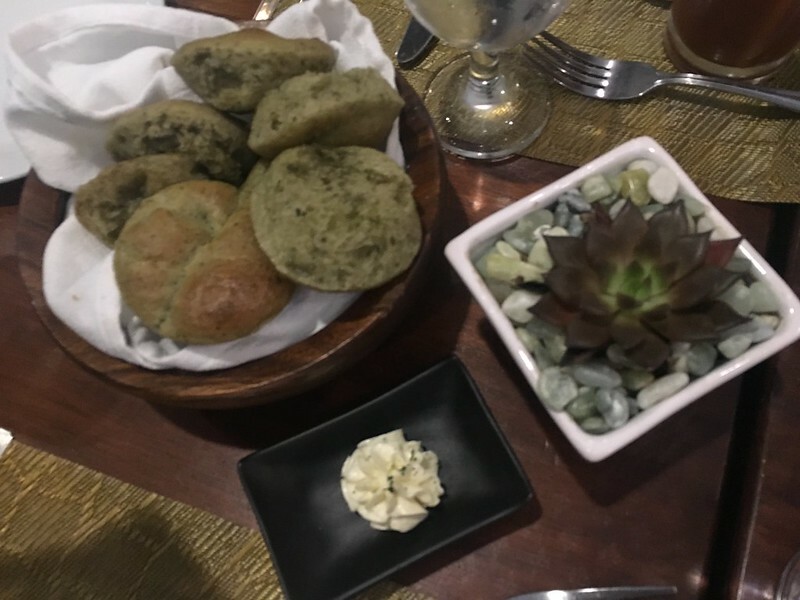 Kangkong Pesto Brioche served with Boursin Cheese. The freshly baked brioche is amazingly light and fluffy, wonderfully accented by the herby cream cheese. Kesong Puti Croquettes at Lato (Php175+). 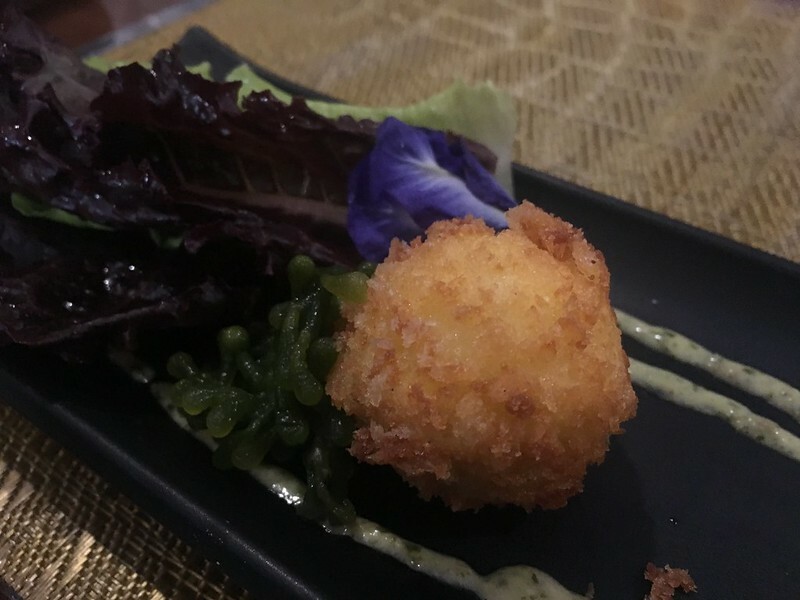 These are croquettes made with local white cheese, sea grapes (or locally called lato, which gives a burst of flavor from the sea with each bite), baby mesclun and Salsa Verde Aoili. 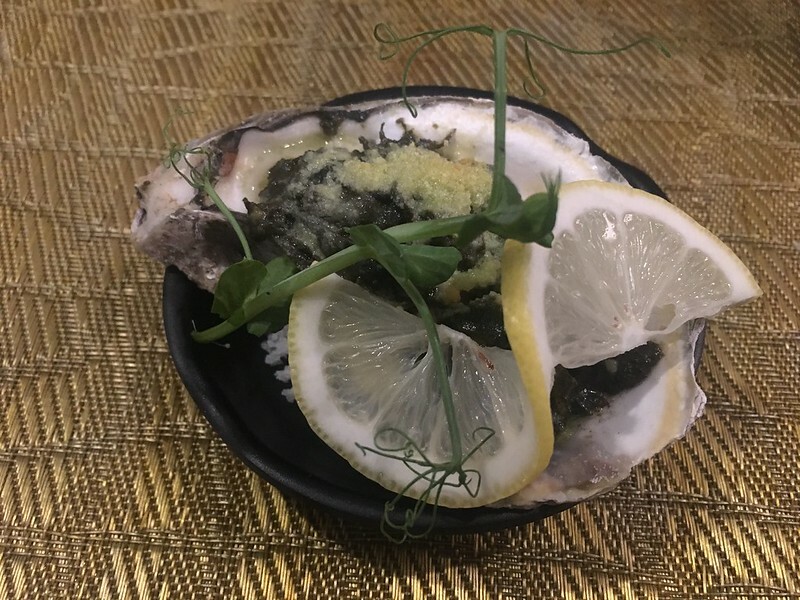 Oyster Laing Rockefeller (Php195+). 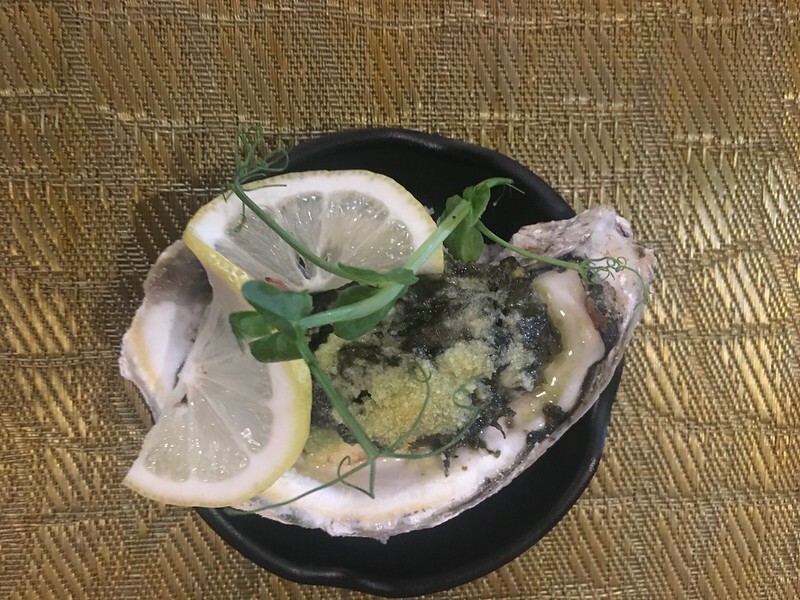 Seafood dish made of Aklan oyster topped by the classic Bicolano laing made of coconut, chili and dried taro, with added parmigiano reggiano, lemon juice and panko. These add a rich creaminess and a spicy kick to the oyster. Sayote Egg Drop Soup (Php125+). 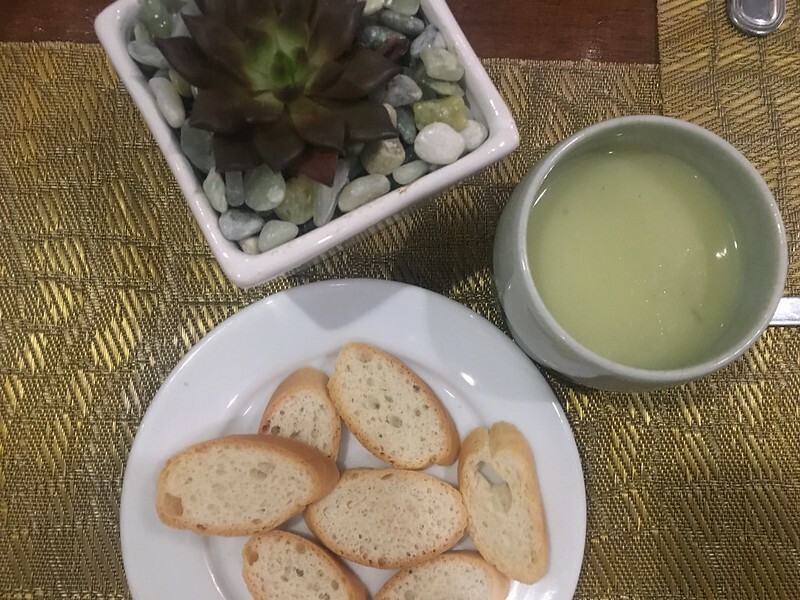 Chayote soup with a quail egg dropped in for added richness that warms the tummy, served with crunchy crostini. 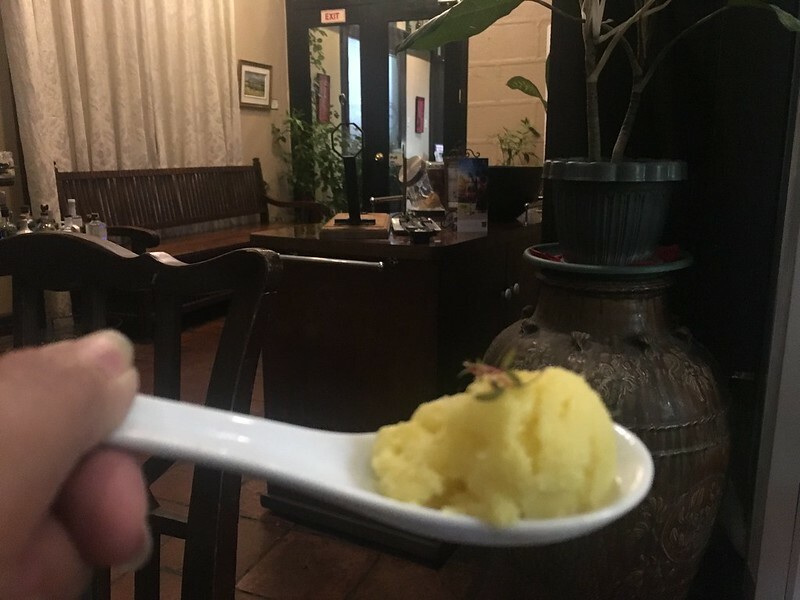 Burong Mangga Sorbet. 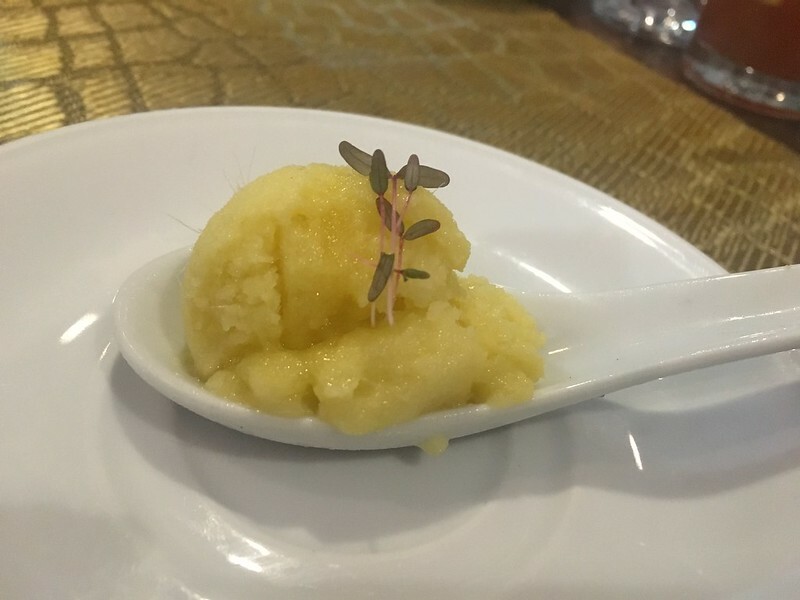 Pureed green mango churned and cooled into a sorbet to cleanse the palate in preparation for the main dishes. BBQ Pulled Pork Tostadas (Php215+). 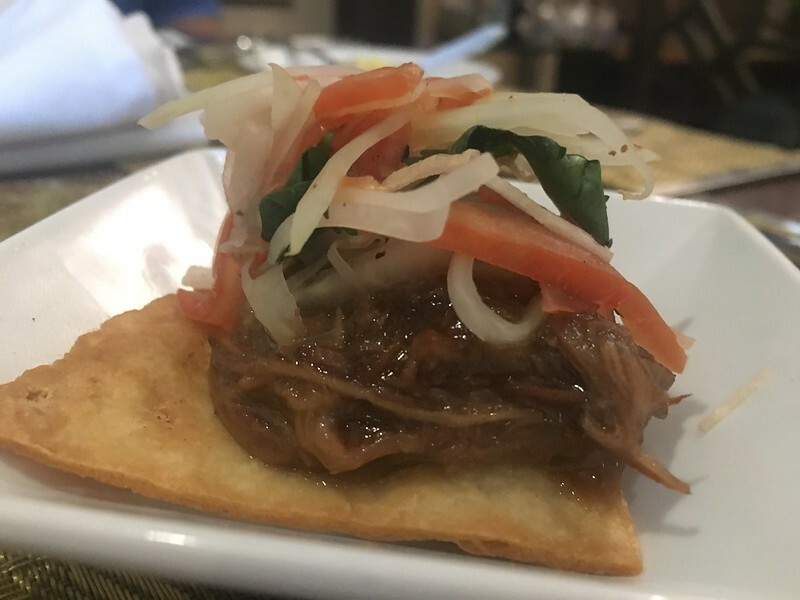 Tender slow-cooked pork marinated in Pinoy-style barbecue sauce, served with refried mungo beans, papaya slaw on top of fried tortillas. 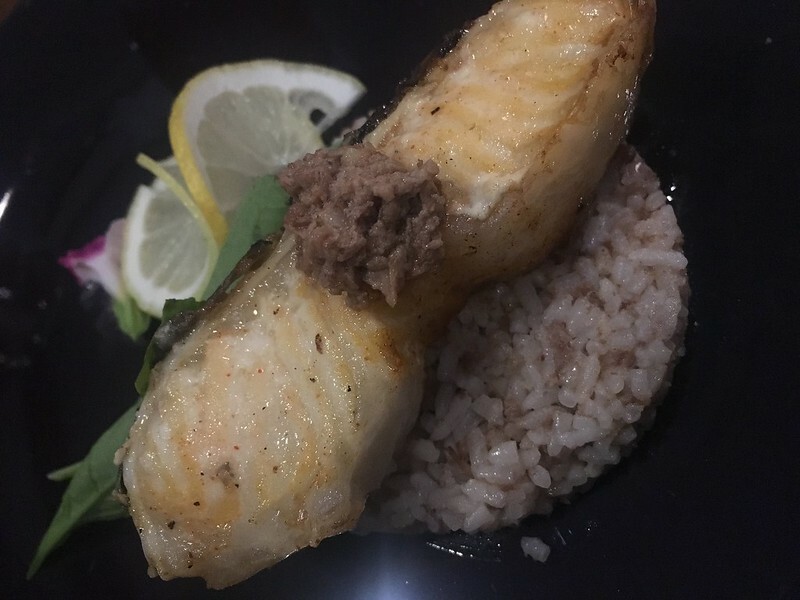 Sea Bass Sinantol (Php350+). 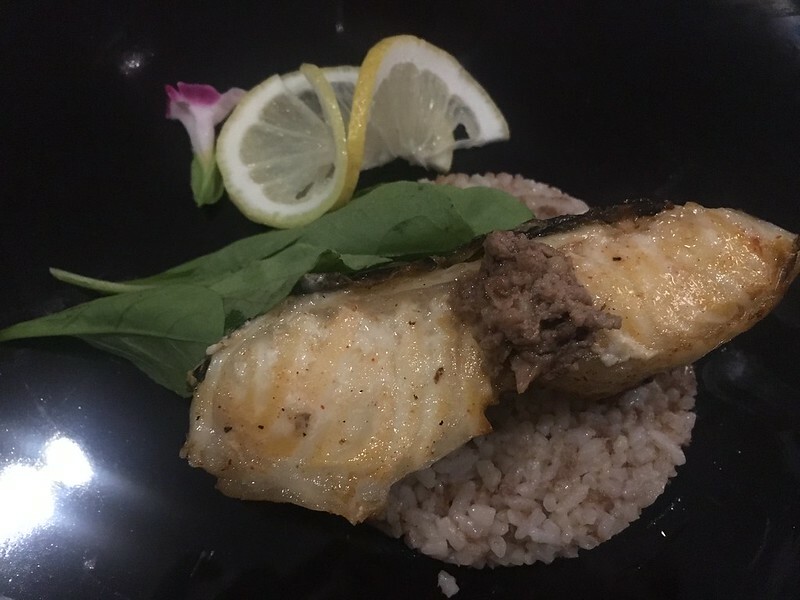 Buttery Chilean sea bass fillet pan-seared then oven-broiled and served with fried rice sauteed in the Bicolano dish sinantol, as well as arugula. Egg Pie Brulee (Php175+). 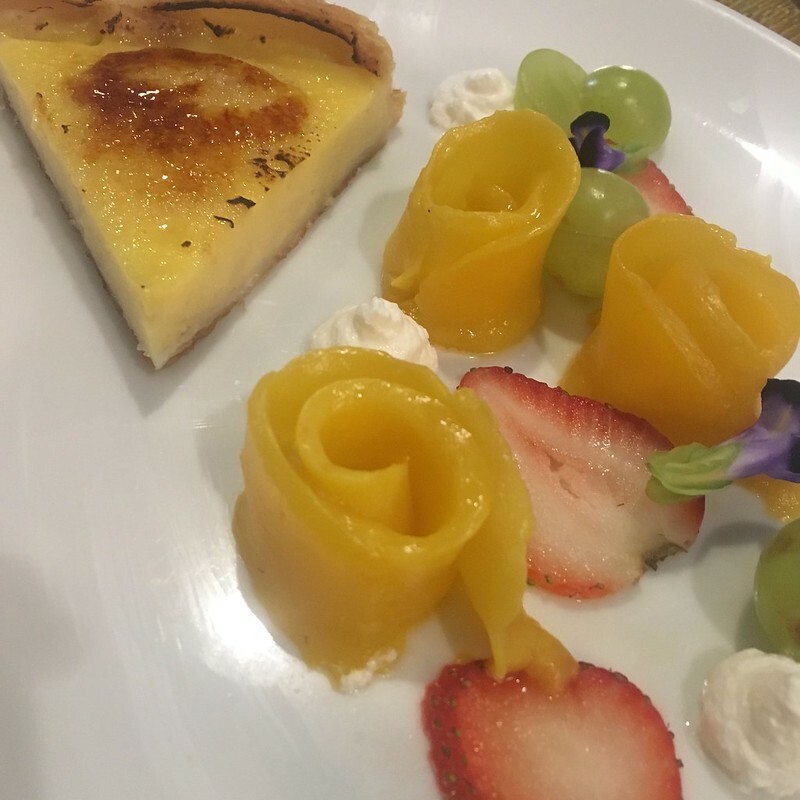 Bruleed egg tart with dots of rose creme chantilly, slices of fresh strawberry, green grapes, and ripe mango. Accompanied by edible flowers, this dessert provides a sweet ending to the meal. The degustation menu modernizes and localizes the continental viands it includes. 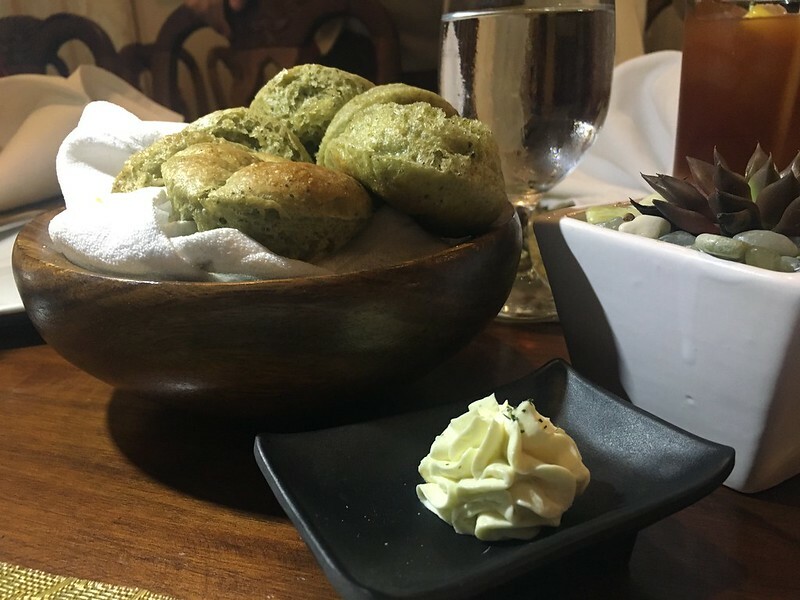 It brings somewhat-forgotten local produce such as lato, sayote and santol back to the forefront of modern Philippine cuisine. The portions are well-calculated such that diners are able to appreciate each dish in its entirety but are not overwhelmed by flavor or quantity. In keeping with a degustation’s aim to satisfy as many of the senses as possible, the menu features visually appealing and colorful food presentation, appetizing herby, fruity and earthy smells, and interesting interplays of various textures and flavors with each dish served. 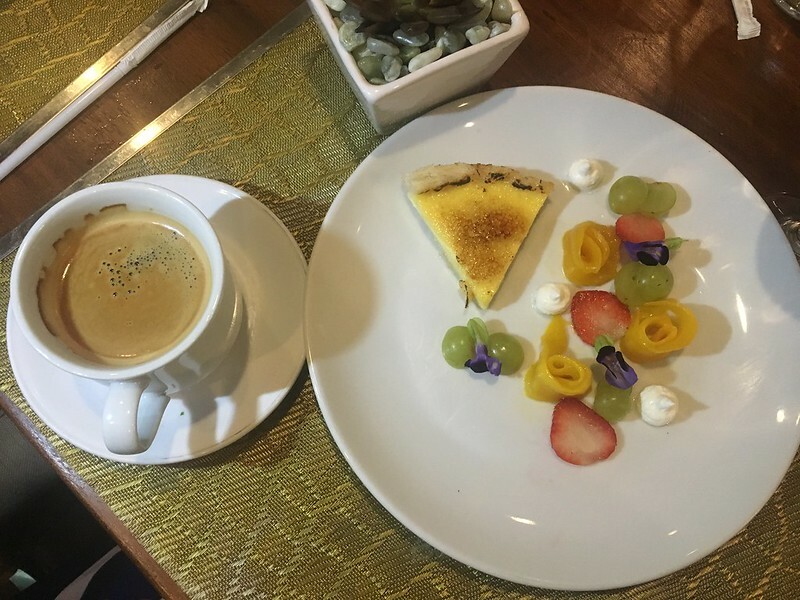 This wonderful menu is best enjoyed inside Ilustrado Restaurant’s well-appointed premises. The converted Spanish era seminary, its aged wood furniture and antique bric-a-bracs all give the resto an old world appeal. But do hurry: this delectable degustation menu will only be available within October. Ilustrado is located at 5440 General Luna Street, Intramuros, Manila, open daily from 11.30am to 2.30pm and from 6pm to 9pm. For queries and reservations, call +63 2 5273674 or +63 939 9206822, or email catering@ilustradorestaurant.com.ph. For more details and updates, check out Ilustrado Restaurant on Facebook, Twitter and Instagram.